SALESMEN! $L0,000 A YEAR Selling Steel Shelving-parts bins—cabinets—shop equipment. Sold everywhere ! Terrific commissions. Free 32 page catalog. Jobber discounts. BFC Corporation, 2901 E. Hedley, Phila. 37, Pa.
MODEL 32 REMINGTON O/U, 30 Inch barrels, plain, no rib. full and full or full and modified, double triggers preferred. Johnny Johnsen, 1135 R Street, Lincoln, Nebraska. UNITED STATES swords, uncommon Nazi daggers, world wide carved and inlaid ornamented daggers with scabbards, reasonably priced: excellent condition. AI Oesterling, Jr., 1286 East Main ltd., Newport, R. I. GUNS ANY Type, Especially M-l Rifles and Trophv Machine Guns. Disco Stores, 2503 N. 3rd, Milwaukee, Wisconsin. WANT US Stamped Detective Special, dwat Johnson 44, M3 carbine or receiver milled for Sniperscope. Britt Brown, Eagle, Wichita, Kansas. "WANTED—AUTOMATIC Pistols. Rare, odd, unusual \\ ant Jap. Spanish pocket Models. Give full particulars. Sidney Aberman, 1210 Beechwood. Pittsburgh 6, Penna." 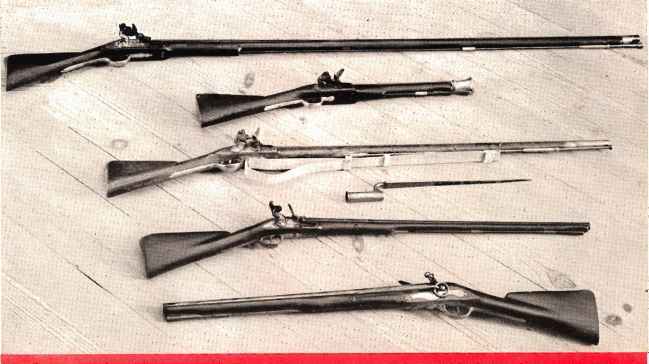 WANTED FOR cash: Winchester 66 rifle or carbine in original very good or better condition, early Winchester catalogs.—R. Jedluad, Ashby, Minn.